Grind together red chilles and cashewnuts to a fine paste. 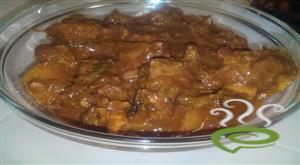 Marinate the mutton with ginger-garlic paste and the beaten curd. Set aside. Heat 4 tbsp of ghee in a pan. 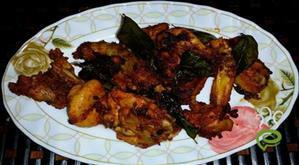 Fry the red chilly masala. 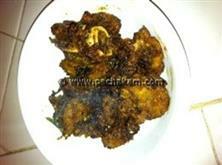 Add the marinated mutton, 1/4 of the fried onion, 1 tsp of garam masala and salt to taste. Keep frying till the ghee separates. Add 1 1/2 cups of warm water and pressure cook till tender. Heat 1 tsp of ghee in a vessel. Add the rice and fry a little. Add the green chilles and salt. Cook till rice is half done. Remove and spread on a thali, discarding the masala. 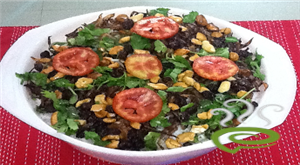 Mix together the chopped coriander, mint leaves, garam masala and fried onions. Set aside. To assemble:- Take a heavy bottomed vessel and line it with ghee. Spread a layer of rice followed by a layer of mutton. Sprinlke half of pudina mixture and juice of 1 lime. 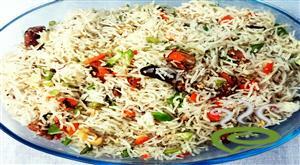 Again spread a layer of rice followed by mutton and finish with rice layer. Sprinkle the rice with safron milk and dot with ghee. Cover Mutton Biryani tightly and place over a griddle for dum for 20 mins. 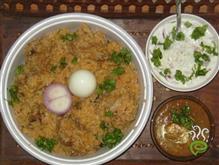 Garnish Mutton Biryani with eggs cut in halves. 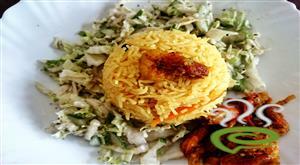 :- Serve hot Mutton Biryani (Biriyani) with raita or salad. 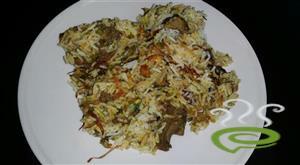 :- Enjoy the Hyderabadi Mutton Biryani (Biriyani) Recipe. 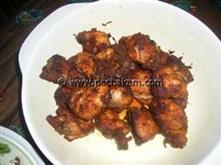 Absolutely delicious recipe. Big thanks to the author. 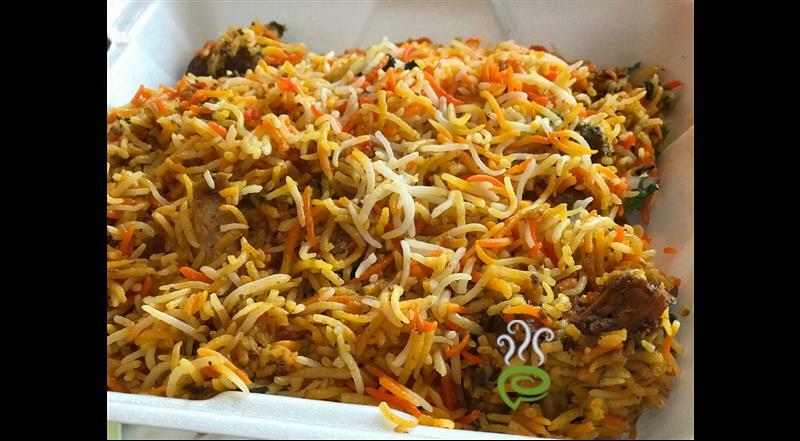 Brilliant and dead on target Hyderabadi Dum Biryani.